Family owned and operated, East Coast Granite and Design has been committed to earning our valued reputation with homeowners all across the Carolinas. Our company specializes in luxurious and sophisticated designs in granite, quartz, and marble countertops. We take great pride in our work, and it shows! Over the last decade, our professionals have been devoted to meeting your needs and exceeding your expectations with each and every project. 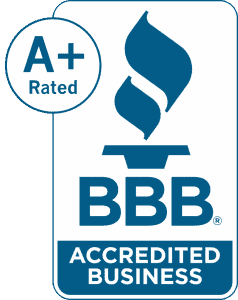 We firmly believe it is our dedication to providing superior customer service combined with professional installation using only the highest-quality materials that has helped us to earn our A+ rating with the Better Business Bureau. With over 25,000 project completed, our comprehensive partnerships with homeowners ensure a stress-free, easy process throughout the duration of your project. From the initial design to the final checklist, our design specialists stand ready to guide you the entire way, turning your dreams into a reality. East Coast Granite and Design maintains a specialized focus in granite, marble and quartz countertops. This gives our staff an immense knowledge and expertise working with these luxurious, natural materials. Because of our experience and expertise, we are able to offer some amazing benefits for our customers. Over the last ten years, East Coast Granite and Design has been able to grow to over 20 locations in North and South Carolina, giving us the ability to offer convenience and affordability. We make sure we can offer the best prices to our customers by working with multiple suppliers for large quantities of stone. Our relationships with various suppliers allow us to offer thousands of colors and patterns to match any design style and personal taste. We are confident we can deliver a superior product that can match both your current decor or your vision of a new space. Our experience and industry knowledge also allow us to provide the quickest turnaround for your home project. If you contact a big box store for your natural stone countertops, it may take up to 9-12 weeks to have them installed. East Coast Granite and Design will guarantee your new granite, marble, or quartz countertops will take no more than 7 business days to be installed and fully functional from the time your template takes place. We believe in the power of personalized service. From the moment you contact our company, you will be assigned a single point of contact. Never again will you have to deal with a different person with each call or visit. Your design specialist will be with you to guide you throughout your entire project, from initial design to installation completion, making the process as stress-free as possible for our clients. We are so confident in the quality of our products and workmanship that we offer a one year guarantee on our installation and a 25-year warranty on our high-quality sealant for your new countertops. When you hire East Coast Granite and Design, you can be sure we are dedicated to your project. We will never hire subcontractors to handle any of our installations. Our installation specialists are expertly trained, privately bonded, and state licensed. You can be sure your project is completed using only the finest materials and the most up-to-date installation techniques. Contact us for an estimate. Give us the details of your vision and we will be back in touch within 24 hours with an estimate. Choose your stone. You design specialist will spend as much time with you as you need to make sure things are absolutely perfect. Schedule templating. Our experts will make all the necessary measurements to ensure a smooth installation. Fabrication of your stone. This process takes 5-7 business days - the quickest turnaround than any competitor in our area. Installation of your gorgeous new countertops. Our expert installation team will arrive and efficiently install your new countertops. East Coast Granite and Design can help you discover the possibilities. Our friendly design professionals are standing ready, eager to help you watch the kitchen or bath of your dreams turn into reality. Contact us today at (843)-940-7492 for answers to all your natural stone questions or to schedule your no cost consultation.